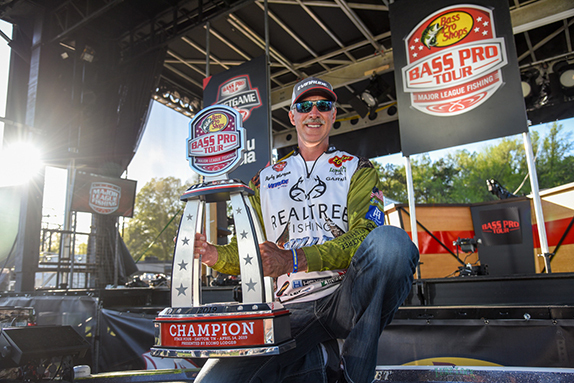 History was made last week in professional bass fishing with a full-scale expansion of the tournament circuit as the new MLF Bass Pro Tour got up and running in Kissimmee, Fla. 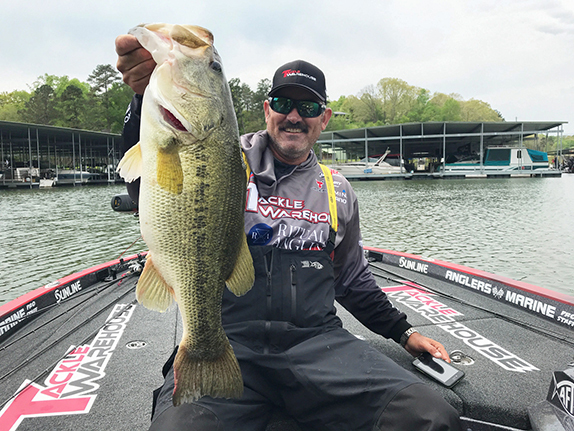 Fans watched the drama unfold throughout the week, with online coverage of nearly every cast and fish catch, coupled with excitement that simply can�t be matched in more conventional formats. With the event so close to home, and a continued desire to form my own opinions, I watched throughout the week, then set out for Big Toho Marina to snoop around a bit. What I found was eye-opening, so I thought I�d share. First off, as many of you likely recognized, there was very little publicity prior to the tournament. Such put a bit of sarcasm in my thinking; assuming MLF overstepped and wasn�t prepared for the workload of building an event of this caliber from the ground floor. The pros blundered in their decision to switch, I assumed; this thing was going to bomb. I can�t overstate how wrong I was. From the very first minute I tuned in online, the BPT was recognizably unique. It felt different. Now let�s give credit where it�s due. Online bass tournament coverage was not MLF�s idea. Instead, both B.A.S.S. and FLW have been grooming similar content for several seasons. MLF, however, seems to have tuned up the engine. While the broadcast style of the event is noteworthy, it�s the event�s format that has created the biggest industry stir. Being a lifelong junkie of bass tournaments qualifies me to make the following prediction: If your business model or product does not consider a move of tournament bass fishing to the catch-and-immediate-release model, you need to call an emergency board meeting. In the near future, we will see more organizations adopting this format and products developed to support such. Two factors are at play here. First, it�s much better for the resource; and second, it allows for dramatically more tournament excitement. Anyone is in the game, at any time. We witnessed numerous examples last week, as anglers went on hour-long runs and charged through the leaderboard. It was a like a golfer with a hot putter, or the derby horse coming down the stretch. It ain�t over til it�s over, folks, and that�s the best part of sports. The fishing methods and catches took me by surprise. Several anglers swung for the fences, targeting larger than average fish with heavy-handed flipping techniques rather than just Senko-ing the bass to death. I wonder how that will continue to play out once the Tour leaves Florida, where bass of all sizes swim together. Overall, the production and broadcast of this thing was stellar. However, a few factors may need to be addressed. I heard of a few online connection issues and found a couple of announcer quirks (Good Lord, please stop using the term �wheelhouse�), but this new product is already very solid. No accident, I�m sure. However, eventually the tournament trails, regardless of which one we�re discussing, might need to better decide what they want. 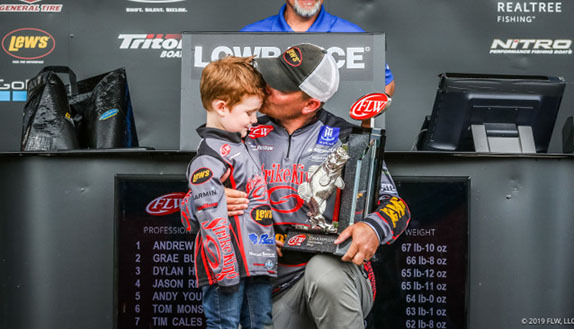 You see, elevating the sport and the athletes to a new level and creating stars of professional fishermen does not coincide with a carnival atmosphere at the local boat ramp. And generating millions of hits through complete online coverage of a sport does not go along with on-site weigh-in mystery and drama. What I�m insinuating is that all of these factors that seem to go into pro fishing: boat demos and kids' games and fishing clinics and seminars � household-name pros and rubbing elbows with your heroes and appearances at the local tackle shop � and magazines and memberships and television shows and weigh-ins � often, they have problems fitting together. This was noticeable at Kissimmee. While I can�t give enough praise to the format and the online coverage, the �in person� activities lacked a bit. Anyone could see it coming. The �Midway� was the same old story: a small boat show and a handful of booths; just something to do when there�s nothing to do. The �post-game� with the pros simply confirmed what we already watched. I mean, if the same thing occurred in golf, would you show up? Think of it this way: I watched the guy take out the 7-iron, hit the ball on the green and putt it in. I don�t need him to tell me all about it. Anyway, in the end, I wonder how long these other variables of pro fishing will continue in limbo. While we�ve alluded to it here many times, one statement sums it up: Each trail needs to decide what they want, and go for it. If you want your athletes to be treated like rock stars, go for it. Remember, fans don�t hang out with rock stars after the show. If you want your pros to represent the sport with the people, and help to influence the buying public, go for it. Heck, if you want the sport to be representative of America, and apple pie and kids fishing for bluegills off the dock, go for it. Decide, and go for it. Because, right now, nobody really knows the best answer. Yeah, the MLF boys have themselves something here, I think. Now, if they figure out the right direction to steer the ship, who knows where it may head?